Driving that new car home for the first time is a great feeling. But eventually, you’ll need some routine work done to keep your 2018 INFINITI QX80 performing at its best. Fortunately, our team at Cerritos INFINITI near Long Beach, Torrance, and Fullerton has put together several pointers for your INFINITI Q80 Maintenance Schedule, presented here for your convenience. Check it out to learn what services your QX80 needs and when to set up your next service appointment. After you’ve been on the road for 5,000 miles or six months—whichever comes first—you’ll want to set up your first routine service appointment to have your INFINITI QX80’s engine oil and oil filter changed. A fresh dose of oil and a new filter to match will keep your engine humming along smoothly and prevent damage from overheating. At this point, your service technician will also need to rotate your tires. Doing so ensures that they wear evenly and last longer between replacements. In addition to the services detailed below for each milestone, you’ll want to make sure you have your oil changed and tires rotated every time you bring your QX80 in for an appointment (for example, at months 6, 12, 18, 24, etc.) to keep your INFINITI SUV running at its very best. Once a year or every 10,000 miles, your 2018 INFINITI QX80 is going to need its braking system inspected. Those brake lines, cables, pads and rotors need to be in top condition, so you can rest assured that your QX80 will come to a safe, secure stop whenever you need it to. If your 2018 QX80 has four-wheel drive, you’ll also want to have your propeller shaft inspected and greased. This will help ensure that your SUV has traction on those wet or muddy roads. Your technician will make sure these items are working optimally to keep your INFINITI QX80 in prime shape for months and years to come—and keep you safe while you’re behind the wheel. Keep Your INFINITI QX80 in Prime Driving Condition! If you want to take good care of your INFINITI QX80, you can’t do better than following the maintenance schedule recommended by the manufacturer. This will help your vehicle run longer and more efficiently, and you’ll save precious time and money in the long run. Even if you’re not due for an inspection, if you think your vehicle needs servicing, don’t wait around. 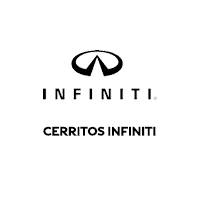 Call our team at Cerritos INFINITI near Long Beach, Torrance, and Fullerton. Or you can easily schedule a service appointment with us online. Our certified INFINITI technicians will have you serviced and back on the road in no time!